See more ... with a Sunex SuperFisheye™ lens. 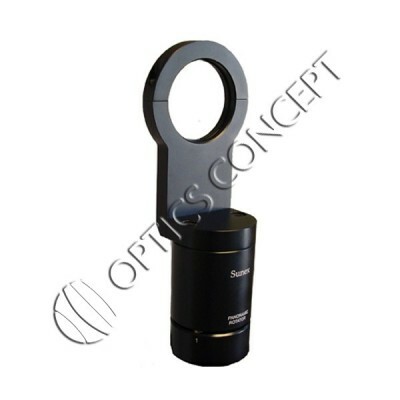 Capture a 185° angle of view in a single shot in any orientation. 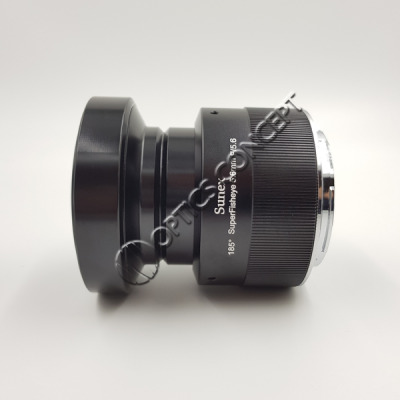 This high-quality, yet simple-to-use lens forms a complete circular picture with an optimal image circle for Canon or Nikon APS-C format DSLRs. Create one-shot 360° panoramic images. Create one-shot panoramic images with up to 180° horizontal field of view. Create distortion-free super wide-angle images. Optimize fisheye distortion for dramatic effects. MAC - Stand alone app. 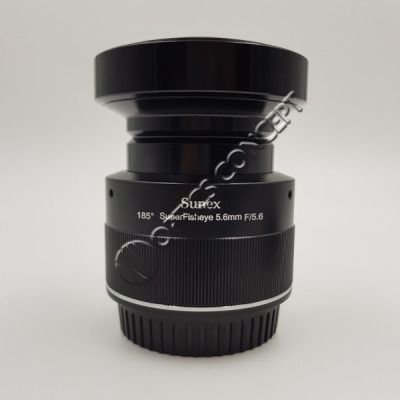 Sunex DSLR Superfisheye™ is designed to produce a complete circular image on APS-C and DX imager giving a true 185° field of view. 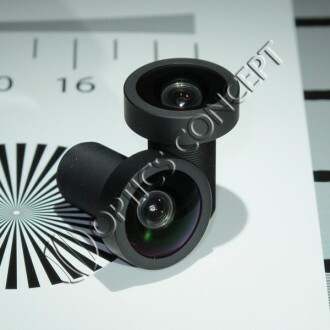 The 185° FOV allows stitching software to realize a 360° immersive image with only two shots! 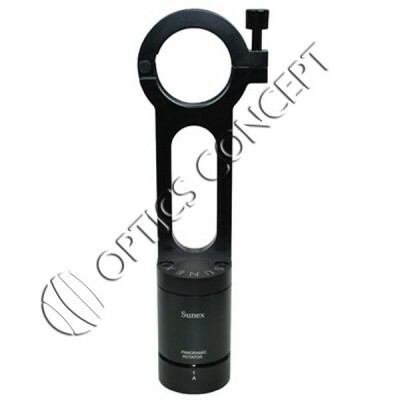 Newly available high index glasses are used to achieve sharp images from center to edge while BBAR coatings are applied to all air-glass interfaces to keep overall flare/ghosting at a minimum. 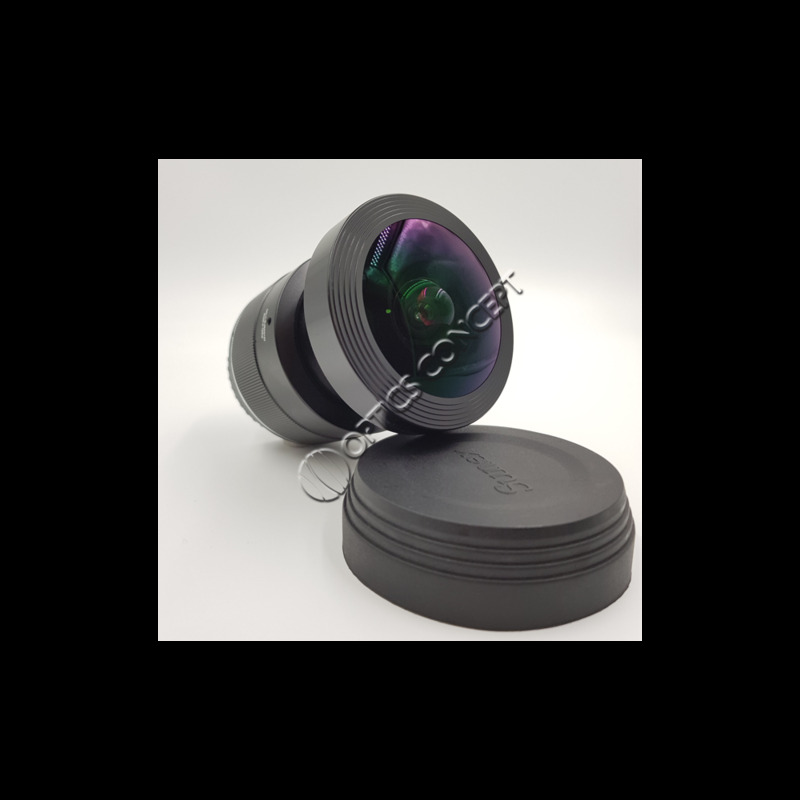 Easy to use, the Superfisheye™ lens uses optimized fixed aperture and focus to achieve best image quality for panoramic and immersive photography. 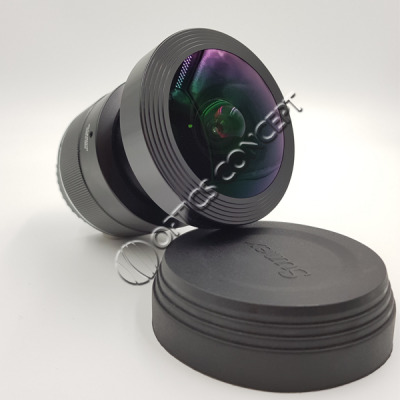 Exclusively for Sunex Superfisheye to take constant-angle shot around a single axis.